Reykjavík, the capital city of Iceland, was established in 1786 and is thus a young city in comparison with its European neighbors. By 2020 it is estimated that the city will be home to approximately 130,000 residents. Many of the projects submitted to the TAP focus on specific areas with specific functions. 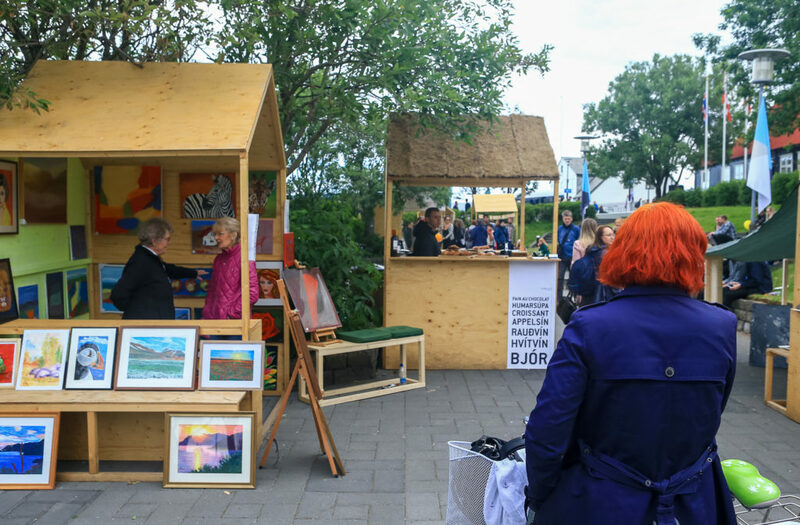 Reykjavík’s project, however, focuses on “places-in-waiting”. The city defines a ’place-in-waiting’ as an area of undecided future usage and unused possibilities. An art stall in a place-in-waiting. Under the city’s scheme, these places-in-waiting are allocated to groups or individuals to experiment with. These groups and individuals are encouraged to develop the spaces in a sustainable fashion. The initial aim is to generate activity in unused spaces with temporary solutions. However, the project will also stimulate discussion about permanent usage of the unused areas. Places-in-waiting are temporary projects and are thus inexpensive. Young designers are given project grants to recreate the space, and they often pursue the projects as summer jobs or besides other work. This is a low-cost way to experiment, allowing the city to avoid expensive mistakes in the final design. One purpose of the project is to encourage the use of more environmentally-friendly transport. Parking lots and streets have been temporarily changed into squares, making people more aware of how much space cars occupy and of the possibilities that are generated by a reduction in car volume. Alongside the cleaner air and decreased congestion, residents of the city directly benefit from the transformation of these spaces, which offer them the opportunity for leisure activities. Other places-in-waiting projects take a different direction. 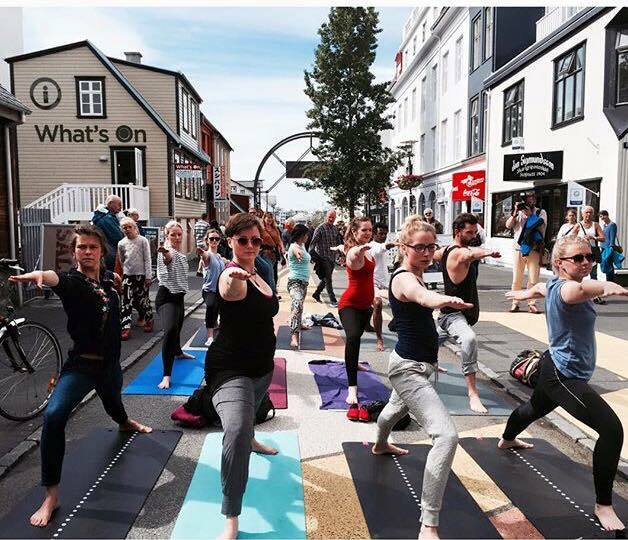 Food markets have sprung up in some, while pop-up yoga sessions have developed in other leftover spaces. Certain projects have been aimed specifically at the elderly, encouraging them to go outside to mingle and play. The places-in-waiting initiative also has economic benefits. Small business have the chance to experiment in public spaces, while nearby businesses, such aa shops and cafes, enjoy increased traffic from the visitors to the places-in-waiting. increase creativity within the city. As the city grows denser, the need for good public spaces increases. Reykjavík believes it can no longer waste valuable land, and is determined to encourage better use of public space. Through this project, it hopes to generate a better understanding of the space, increased public trust, and better long-term design for the city.